The Inclusive Top 50 UK Employers is a definitive list of UK based organisations that promote inclusion across all protected characteristics, throughout each level of employment within their organisation. Representing the promotion of all strands of diversity including Age, Disability, Gender, LGBT & Race, the list will highlight many different organisations across various different sectors. The Inclusive Top 50 UK Employers, empowered by The Excellence in Diversity Awards, is a dynamic and exclusive resource that is very much needed in order to identify who the true leaders of Equality, Diversity & Inclusion are. As well as showcasing organisations that are already performing at a high standard in relation to Equality, Diversity & Inclusion, The Inclusive Top 50 UK Employers List will also highlight organisations that are effectively making changes which will allow them to become an inclusive employer in its entirety. We appreciate that some organisations may not currently be successful in promoting every strand of diversity and for us, it’s not just about the journey that has already been travelled, it is also about the journey that you may be about to embark upon. Entry for The Inclusive Top 50 UK Employers is really straightforward. A crystal clear survey will be introduced, consisting of practical multiple choice questions. The answers provided within the survey will review how well your organisation is performing in various aspects of Equality & Diversity, whilst evaluating your progression. The information gathered will ultimately determine your position within the list. Depending on your awarded position, supplementary evidence may be required. With numerous media partnerships under our belt, The Inclusive Top 50 UK Employers List will be showcased within various different newspapers & magazines, pioneering your organisation as a real ambassador for E D & I. 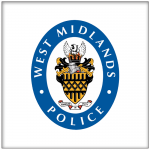 This will also provide your organisation with both national and local coverage. 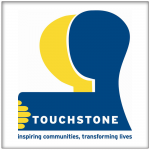 Touchstone were surprised and delighted to be named number 1 on The Inclusive Top 50 UK Employers List, beating the likes of Sky, Ministry of Justice and British Airways. Our involvement with The Inclusive Top 50 and The Excellence in Diversity Awards has been nothing but a positive one, and has shown us that our practice is also excellent. Thank you to EIDA for showing us this. I am absolutely delighted that Manchester Metropolitan University not only made the Inclusive top 50 UK Employers, but that we have achieved such a high ranking. Coming 2nd place in the top 50 is a real recognition of the work, not just of the Equality & Diversity Team, but of staff across the organisation who have shown a genuine commitment and drive to delivering an inclusive experience for our staff. It’s always great to be recognised externally for this work, particularly in an index with some prestigious organisations from both within our sector and elsewhere. Since the top 50 list was published, we have received a lot of attention and enquiries in relation the good work we are doing, from others in the sector, the national press and our local partners. 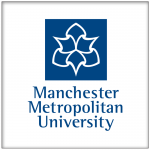 At Manchester Metropolitan University, we recognise our people are our single largest source of competitive advantage and so they should feel this is a fulfilling place to work and that they are treated with dignity and respect. Therefore, we are committed to mainstreaming equality and diversity in order that we can recruit, promote and retain the very best of talent. 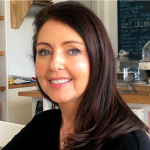 We didn’t formally have an introduction, I was very interested in the event as an Auto Trader employee and as a dad of an 18 year old son with a diagnosis of PDA (on the autistic spectrum). I was blown away by all the speakers and at some points had to wipe away tears from my eyes as I felt a deep connection to what they were saying. When I got home I discussed the day with my family and my son is now working on a video for ‘Autism’s Got Talent’. 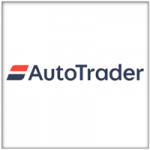 I am really proud to hear what we are planning to do at Auto Trader to make our workplace more Autism friendly. The event overall was fantastic with a great turnout too! It left me filled with inspiration and also an element of despair for the families who cannot access anything so if there is a way for us to accelerate any growth together do get in touch and maybe we could meet up and see if there are any areas where we can work together! We were delighted to be ranked 4th and top of our sector in the Inclusive Top 50 UK Employers List. 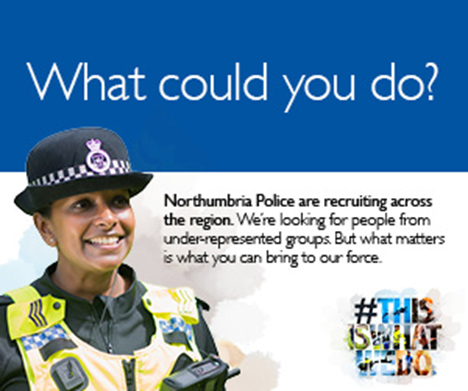 Our position has generated lots of interest in our positive workplace practices and led to sharing opportunities with other organisations around diversity and inclusion. 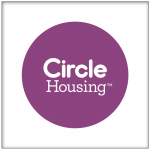 It’s really great to be recognised for all of the work we’ve put into making Circle Housing an inclusive employer, and our efforts to embed diversity at every level of the organisation. 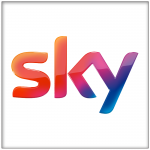 When we found out Sky was part of the Inclusive Top 50 UK Employers List, we felt really proud. Everyone at Sky plays an important part in making it such a great place and it was exciting to be recognised for all of our work. The list acknowledges all aspects of diversity but also reflects our commitment, inspires our people and motivates us to keep getting better and better. As a result, we’ve chosen to be involved again with an aim to build our vision to be the most admired company and industry leader for Inclusion. 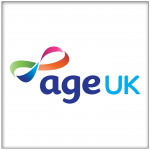 Age UK is delighted to have appeared on the Inclusive Top 50 UK Employers list for the first time in 2016. While we recognize that there is much more to be done in delivering on our equality, diversity and inclusion agenda, the fact that we’ve been included is an encouraging endorsement of the progress that we have made, in the last few years, in making our vision – Age UK being inclusive – a reality for all our staff. 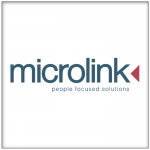 culture in Age UK have resulted in us being recognised as an inclusive employer. We will continue to develop and champion our work on equality, diversity and inclusion in Age UK’. Diversity is not only the right thing to do but it is critical for business success. We need to be diverse in order to be innovative and our clients are increasingly demanding to see us as leaders in this respect. We need to be actively inclusive – this is more than simply ‘not discriminating’. It is about truly valuing everyone for who they are and celebrating their individuality whilst ensuring everyone works well together. Through teamwork, cooperation and collaboration we can achieve so much more. 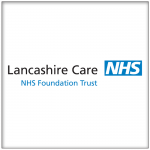 Lancashire Care NHS Foundation Trust takes a culture driven, strategic approach to equality, diversity and inclusion and this prestigious award demonstrates the commitment of our staff to keep people at the heart of everything we do, to always be as inclusive as possible and promote the benefits of diversity at every turn. We’re thrilled to have made it on to this national list and very proud and honoured to be in the company of this select few. Being fully inclusive doesn’t come down to just ergonomics and desk design. You need to identify what talent you need and then set about creating a work environment agile enough to accept those individuals with open arms and structure your business to allow them to prosper and thrive. Being part of the Inclusive Top 50 UK Employers means you get to inspire other organisations to follow your lead. As a member and past EIDA winner it means we can affect change and move closer in creating an inclusive society. We are thrilled with our ranking in the Inclusive Top 50 UK Employers list which recognises our efforts to support equality, diversity and inclusion across several areas from community engagement through to training. 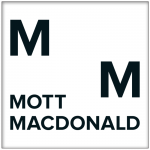 Being recognised in this list of top employers has helped align our efforts across protected characteristics, provides an external benchmark for our EDI work, and galvanises engagement from leadership who are keen for us to move further up the ranking. We were thrilled to have been placed 11th in the 2016 Inclusive Top 50 UK Employers List 2016. It is really important to us that our staff and partners involved in our journey ‘Towards Inclusion’ receive recognition for the progress we have made. Inclusion is at the heart of our organisations Values and Behavioural Standards Framework. 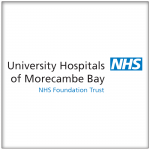 Our involvement in the Top 50, through sharing our experiences, and learning from other organisations recognised for inclusive practice, provides great encouragement and motivation for our staff to continue to make improvements to become a truly inclusive organisation, to ensure we are a Great Place to be Cared For and Great Place to Work for every individual.